Thank you for sharing this. I've not been looking forward to the end of Picasa Web Albums since Photos is such a pain to traverse and takes so long to load. Album Archive is so far fantastic from checking it out, and exactly what I needed. I have a website since 2000.I always used Picasa embedded slideshows. That means I have to destroy all them, because dead links are the worst thing on a website. That means too I will cancel all my Google online stuff and it's a lot and return to other ways to store my datas. Because, online, even Google is not sure. Absolutely agree...this was a hit below the waist line! I'm not really clear what the distinction is. 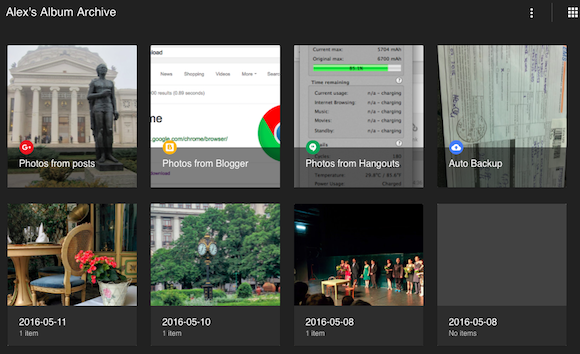 I've got photos uploaded using the Google Photos desktop uploader application that are considered part of the Album Archive. Is this because they are in a public/shared album. 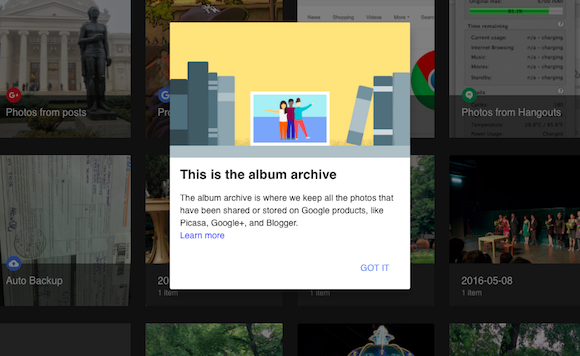 Does Google Photos have any concept of a public album? It appears every album must be shared using their secret URL, and therefore the albums can only be discovered via email or social media posts. Shouldn't there be a "my public photos" link - like there was on Google+ (and PicasaWeb) before. 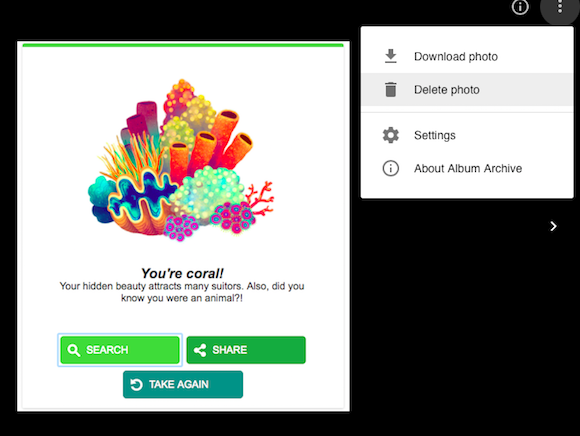 This is what i've wasted a day today finding out, whereas Picasa web album was a public repository the Google photo albums are single urls that can't be placed in one place. The archive idea i've tried but for some reason best known to google it displays all my project albums in randomly irrespective of dates photos were taken. Thanks Google! Picasa photos embedded on websites will not work? That's absurd, we have embedded many photos through embedding option of Picasa Web!!!????? Thanks for sharing this information with us. It really helps us to know more. The Album Archive doesn't work for me. I only use Blogger so all photo uploads fall into that category and is the only folder in my Album Archive. However, after clicking in, all links fail and I simply CANNOT manage any images including deletion of any. In other words, NONE of the screencaps shown in this blog post show up in my case! Also, there's some serious viewing problem as only a selection of uploaded images are shown when I click into the album folder concerned. In other words, say, if I have 101 pics, only around 45 show up. Clearly the Album Archive is buggy. What can I do?? Album archive looks OK when I am signed...but if I want to send a link for this archive to anyone alse, the albums are not in the correct order. WHY??? Solicito confirmarme sacerdotalmente por la comunidad de GOOGLE como ViniCristo (el Cristo Vinicio) por mis encarnaciones angelicales de San Miguel Arcángel y de San Gabriel Arcángel porque resucito a los muertos en Cristo como tambien a los muertos sin Cristo. La comunidad de GOOGLE presuntamente me confirmó como la encarnacion divina del Dios padre celestial Elohim en mis notificaciones de GOOGLE de mi cuenta de GOOGLE. Finally got my hands on my own card via davidbejaminltd@outlook.com. I have been deceived into sending money to various companies without getting my card until i came in contact with David Benjamin. My card was delivered to my address in less than 4 days after i placed an order and meant the necessary requirement this company is reliable and true to their word i recommend davidbenjaminltd@outlook.com if you are in need of the programmed atm card. No. Only you can see your albums, unless you share. If I go to that link, it only shows me mine. Finally got my debts of my neck and i have enough money saved for my Christmas shopping. It all happened as i stumbled into this email address davidbenjaminltd@outlook.com initially i was looking to get extra jobs to boost my salary and i found how the blank atm card from this company gives you more than $80,000 all in 1 month. At first i though it was another internet scheme until i saw several reviews of how this blank card from this company has changed the lives of many without hesitation i ordered for the card and in less than 3 days it was delivered to me and the agent showed me how it works and it was even tested its been just 3 weeks and everything seems a lot less stressful this company has really changed my life and standard of living. I would love you on this site to visit davidbenjaminltd@outlook.com and get a card today to ease that stress and get good money its so quick. I am trying to download my archived albums (via Chrome) but am finding that it does not work - nothing at all happens. I'd love it too if all the spam comments here were removed! I read this article properly. This is one of the best posts. Thanks sharing this article! Join SKARTEC the best digital marketing course in chennai. The given knowledge was very excellent & Great tips, and the outstanding way to get expert tips from everyone, I like that post, because of all given learning was wonderful and it's very helpful for me.